BE Personal Injury Lawyer has been helping victims of motor vehicle accidents, public transportation accidents, motorcycle accidents, pedestrian accidents, slip and fall accidents, and product liability get the maximum compensation that they deserve. The experts at BE Personal Injury Lawyer are considered to be some of the top specialists when it comes to accidents that result in brain injuries, spinal cord injuries, orthopaedic injuries, and injuries resulting in chronic pain and psychological trauma. Scarborough personal injury lawyers work with a vast network of medical professionals who will ensure you reach maximum recovery by accurately diagnosing and effectively treating your injuries. Your local Scarborough personal injury lawyers have the trial experience that keeps us one step ahead of the competition and allows us to stay on the leading edge of the legislation. Having battled insurance companies inside and outside of the courtroom, we have recovered tens of millions of dollars in compensation for injury victims and their families. Winning cases of varying complexity at various levels of court in Ontario has created a proven track record of success that our clients can rely on. 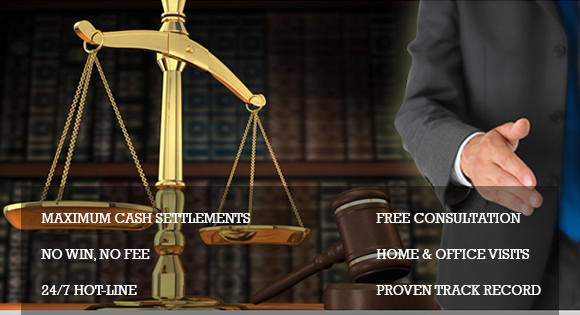 Our fees are based on a contingency basis, which means if we don't win your case, you do not have to pay. If you or a loved one has been injured, contact your local Scarborough personal injury lawyer for a free consultation. If you are unable to come to our office, we will come to you to explain your rights and entitlements. There are no obligations. Protect your rights, and contact BE Personal Injury Lawyer today. Your rights, as a victim of personal injury due to any accident, need to be protected. At BE Personal Injury Lawyer, we are a team of dedicated and experienced lawyers that work together to offer comprehensive legal representation and consultation. And we help them get the maximum compensation as they need to be paid for the trauma and injuries that they have undergone. The personal injury lawyers at BE Personal Injury Lawyer are considered to be the best, when it comes to client representation for orthopedic injuries, traumatic brain injuries, and spinal cord injuries among others that lead to the victim becoming a paraplegic or even quadriplegic. The fact is you need the compensation to cover the cost of loss of wages, psychological trauma, medical bills, long-term rehabilitation and medication. To ensure that you can avail BE Personal Injury Lawyer's experienced legal services, we work on contingency basis, so that only after your claim is settled, we will bill you for our services. There are no upfront payments for legal fee and the first consultation is no-obligation and free. We want to protect your rights and even make home or hospital visits when the victim is recovering from the injuries and is immobile. You need to know your rights and we have helped the community at Scarborough for years, helping victims get justice.